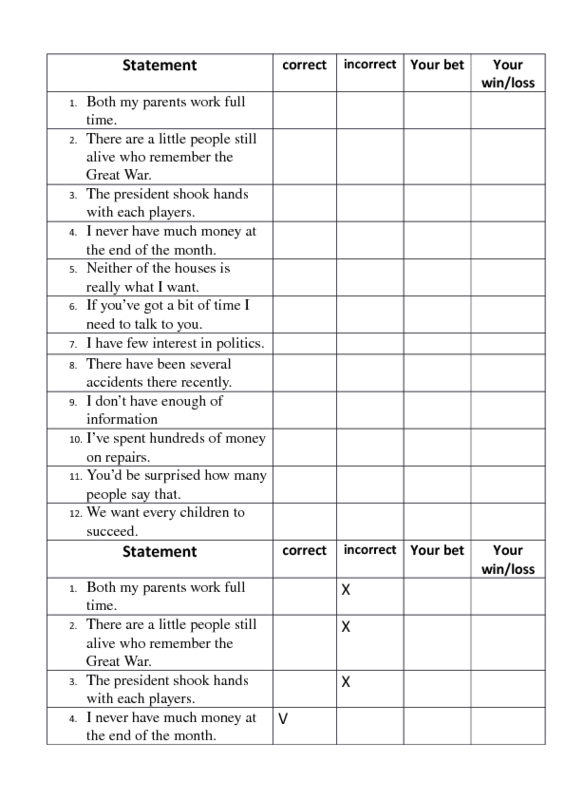 The given worksheet provides the opportunity to practice quantifiers such as (a) little, (a) few, both, each, every, much, many, neither, a bit of, through an interesting game. The rules are the following: students decide if the given sentences are correct or wrong and make a note (a tick) in a corresponding field. 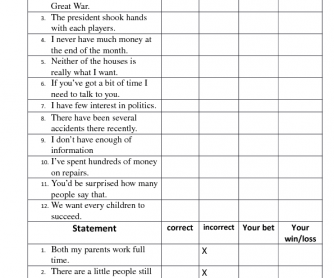 If they are sure about their answer, they bet the highest point (e.g. 5), that means if they will be right in the end, they will get 5 points, if not, they will lose them. If they aren't sure they can bet less, so that their loss won't be that big. As they finish, they check the answers as an open class together with a teacher.The winner is a person who will get the most points.